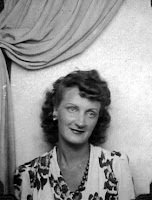 If any of my readers of this blog know about my articles about Alzheimer’s Disease and on Examiner.com writing articles of information and resources for eldercare as the Pittsburgh Elder Care Examiner, you may be aware that my mother, Hannah Lindberg has been a victim of Alzheimer’s for the last three plus years. 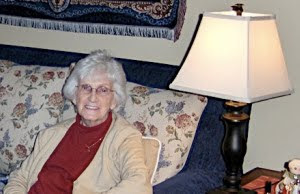 Hannah has ended her struggle with Alzheimer’s as she passed away on Jan. 25, 2010. She made a more drastic turn for the worse over that last couple of weeks and we had visited her the day before she passed. It was as if she waited to see us one last time. We thought, during this visit that her end would come soon, but that very night, she passed away, peacefully, in her sleep. This is a time of great sadness as well as great joy as we are so relieved that she is no longer suffering the constant living nightmare. I like to think that she is back with my dad, who passed 20 years ago and they are as they were in their twenties and in that new young phase of love again. Much of my article writing has been about how this disease is basically an issue of what I call, “The Silent Generation”. These are victims of not only old age, but of the many forms of Dementia which affect the brain of so many older people and therefore has long been thought of as a natural progression of growing old, who can not speak out for themselves. They need us to speak for them! Dementia, of which Alzheimer’s is one of the most common afflictions, is not part of the natural aging process and this has allowed this issue to be not given the necessary attention of by the majority of people in this country and around the world. This is just beginning to change as more and more of the largest segment of the population, the Baby Boomers, are now entering a phase of their lives when they are either caring for aging parents who are victims of Alzheimer’s or being directly affected themselves by it. • As many as 5.3 million people in the United States are living with Alzheimer’s. • Alzheimer's and dementia triple healthcare costs for Americans age 65 and older. • Every 70 seconds, someone develops Alzheimer’s. • Alzheimer's is the seventh-leading cause of death. • The direct and indirect costs of Alzheimer's and other dementias to Medicare, Medicaid and businesses amount to more than $148 billion each year. These are just a few of the facts in our new report, 2009 Alzheimer’s Disease Facts and Figures. This issue needs all of us to spread the word and tell our government to do more funding into the support and research of this terrible affection that is basically like living a 24 hour nightmare in the victim’s mind. My mother has had the good fortune of living about 88 years of great physical health. She only had a few minor incidents in all of those years and rarely had to go to a doctor. After Hannah sold her home a few years ago and moved into a retirement residence, she took care of so many others in the residence who needed occasional help. She sat with others who were lonely or made sure they took their medications and picked up their daily newspapers from the lobby. Hannah was so blessed to have her health, but her mind started failing her more than three years ago. As many families who face this with aging parents, we were lost and knew nothing about Alzheimer’s or where to go, although we had known about grand parents who had it, but we ignored it as old age as well. Doctors are usually the first resource and in the past, many have been of little help, other than prescribing the current drugs that do not cure, but may possibly slow the progression of Alzheimer’s. Make sure you scroll down the page to find all the resources in the lower right corner of the site! Now as the Boomer generation is facing this as an issue of which they are directly affected, we are raising the public awareness of Alzheimer’s Disease, but there is much more to be done. We love you Mom & Dad and miss you so much, but you are part of us and all of our future generations. You gave us our lives and did all that you possibly could to insure we had a wealth of blessings, happiness and love. We will continue to pass that on to our children, and their children’s children. Such a loss to the world. To have lived such a full life and to have it end to Alzheimer's is a tragedy. After meeting a lady this weekend who has both her parents diagnosed with Alzheimer's, it only emphasizes the fact that more research has to be done to find a cure for this disease. Thank you for your kind thoughts! Much more needs to be done in the area of Alzheimer's research as the number of victims from the Baby Boomer generation will dramatically increase.